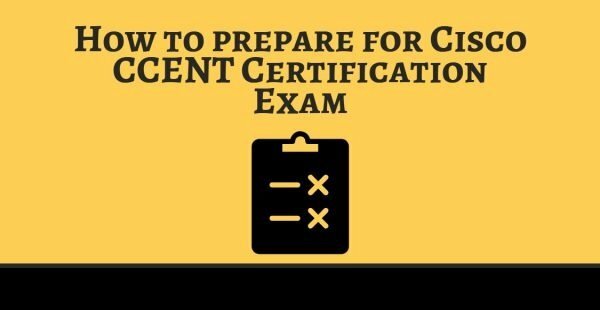 A quick tutorial on Short Overview of Cisco CCENT Certification Exam Dumps. Cisco is undoubtedly one of the biggest companies, especially if you talk about networking. The organization is known for providing high-quality networking solutions to many enterprises. In fact, if you take a closer look, then you will notice that the majority of IT organizations out there use the networking solutions provided by Cisco. However, that is not all that the company is known for,Ciscoalso offers a number of certifications. Naturally, most of these credentials are closely linked to networking, so you need to have a keen interest in networking to try to earn one of its certificates. 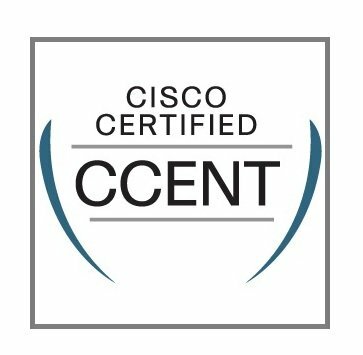 One of the main certifications that it offers is Cisco CCENT. If employers see that you are certified by Cisco, then they will surely prioritize you more than the other job seekers. In other words, you will have a better chance of securing a good job position. The Cisco 100-105 exam is just like any other test: there is a fixed exam pattern that is occasionally revisedbut it remains the same for the most part. Currently,the testconsists of 45-55 questions, and all of them need to be answered within 90 minutes. Take your time with each question, but pay special attention to your time limit. With so many challenging questions to answer, time management is key. The Cisco 100-105 test is just like any other exams, and you will have to prepare yourself properly in order to pass it with success. First and foremost, you need to understand that you have to start your preparation quickly. You should begin a few months prior to the exam, so that you have enough time to prepare. Remember that if you get your hands on this certification, then it can do wonders for you, so work hard and try to get it on the first try. Scheduling is an important part to think about when it comes to a preparation processbecause there are quite a few topics that you need to cover, and you have to give each topic the due time that it deserves. If you have created a timetable, then make sure that you follow it properly, otherwise it will be worthless. The Cisco 100-105 exam is not exactly new, so it will be very easy for you to find many study resources on the Internet. There are many online communities where people from all around the world come together to talk about thistest. Find these communities and interact with other test takers there. All these people can prove to be a very valuable assetbecause they can give you links to other sources that you can use to prepare for the exam. Some of them might also share their experience of writing the Cisco 100-105 certification test. While you are at it, you should also look for the official study guide. It will tell you about the main topics that you need to focus on, and what the exam will be about. Use this study resource to your advantage and stay close to itbecause the information contained in it can help you ace the test on the first try. Practice is always advisable, and you should never forget that. If you wish to practice for the 100-105 exam, then the Internet is your best choice. Here you can find many different practice tests, which consist of the questions that have been encountered during similar tests. Take as many of these practice exams as you can because this is the closest you can get to the actual test environment. Some of these practice tests might also show you your result at the end, and this way you can evaluate your skills before it is too late. You can then identify the areas that need more work and start concentrating on them. However, just keep in mind that you don’t have to memorize any of these questionsbecause they will never be repeated. Use these questions for practice only and don’t think that you will face then during your exam. One thing that you should keep in mind is that you need to use all these preparation methods together. Don’t just stick to one of them, because you will learn different things from each of these sources. These were the crucial details that you should know about the Cisco 100-105 certification exam. It is undoubtedly one of the most popular certifications that Cisco currently offers, and there are many people who are getting in line to earn it. There are many benefits that this credential brings, that is why it is recommended that you get it as soon as possible. If you are someone who dreams about getting a decent networking job, then the Cisco CCENT certificate can help you make your dreams come true. Don’t be disappointed if you don’t pass the teston the first trybecause you can always have another go. Plus, the knowledge that you gained during your exam preparation will never go to waste and you can use it the next time you take the exam.